Harare, April 10: The death toll from the cyclone that ripped into southern Africa last month is now above 1,000. Zimbabwe's information minister on Tuesday said the toll in that country has risen to 344. Mozambique has reported 602 deaths and Malawi at least 59. Monica Mutsvangwa says efforts are now "confined to recovery of the deceased" and the government will send pathologists to Mozambique to help identify bodies. An unknown number were washed down mountainsides into the neighboring country. Mozambique Woman Gave Birth in a Tree After Cyclone Idai. Zimbabwe, whose economy is badly struggling, says it needs $612 million to assist survivors and has appealed for international support. 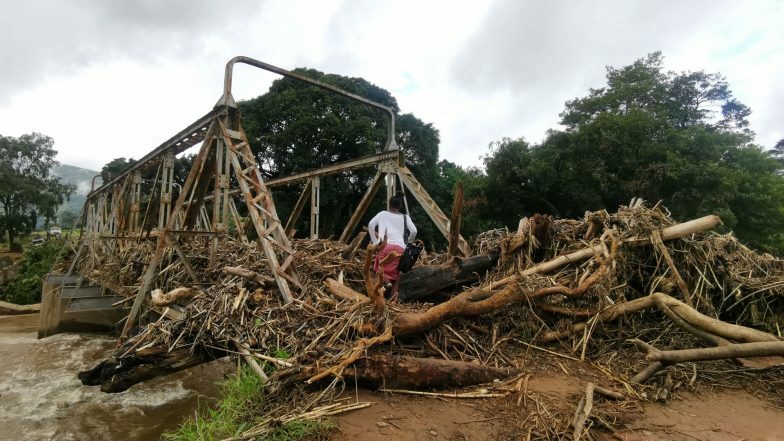 The United Nations has described Cyclone Idai as "one of the deadliest storms on record in the southern hemisphere." A final death toll is yet to be established and might never be known.